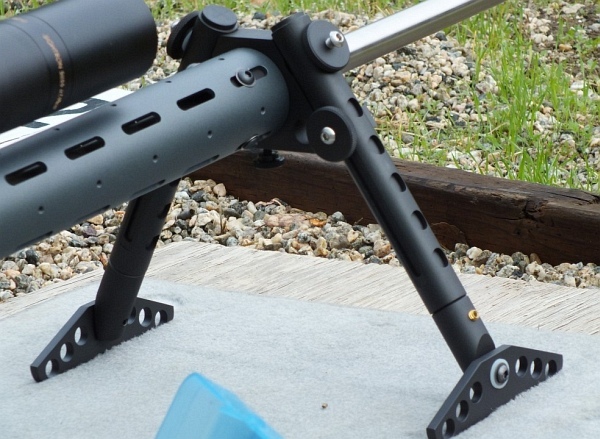 Shown below is Competition Machine’s HD bipod system. 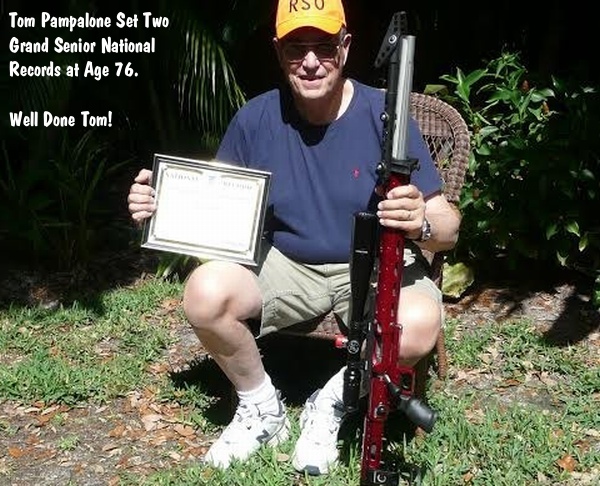 Tom Pampalone used a similar set-up fitted to his red R1 F-TR rifle. The bipod “head” clamps around the fore-end, allowing the system to rotate around the barrel axis as needed to match the terrain. The long, ski-type feet distribute the load over a large surface area. This reduces hop and helps the gun track straight back during recoil. Share the post "76-Year-Old Sets Two Grand Senior National F-TR Records"
Hodgdon: H4831sc, H4831, H4198, H414, H335, H380, Hybrid 100V, H50BMG, Titegroup, 800X, Superformance, LeveRevolution (and others). Reloading tip: If you currently use Alliant Reloder 15, Norma 203 B is very, very close. It is made by the same manufacturer, in the same plant, with the same burn rate and kernel size. Of course, for safety, you should still start low and work up your load incrementally. 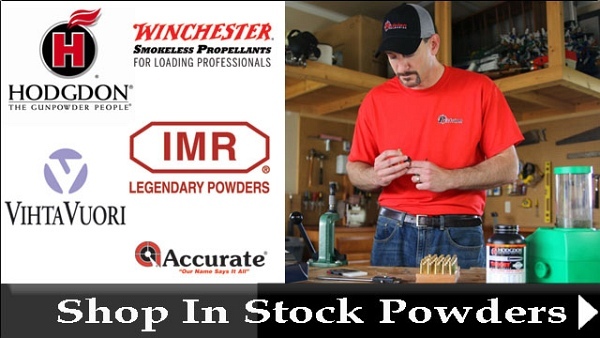 Share the post "Precision Reloading Has Popular Powders in Stock Now"
Buy a scope, get a mat for free. Sounds good to us. Leupold is now offering a free Tactical Tailor® Shooting Mat with the purchase of a Mark® 4, 6, or 8 riflescope. The shooting mat comes branded with the Leupold Logo, and has a retail value of approximately $95.00. Get INFO. This offer runs through April 15, 2015. All documentation must be submitted by April 30, 2015. Visit the Leupold Promo Page for more information on this offer. Mark 4 ERT 6.5-20x50mm Front Focal 34mm H-27 Reticle M5A2 Matte. Click scope for specs. Mark 4 LR/T 3.5-10x40mm Front Focal 30mm Tac Mil Reticle Matte. Click scope for specs. Share the post "Get Free Shooting Mat with Leupold Mark Series Scope"